Are you looking for exceptional pediatric dentistry in Suffolk County? Pediatric Dentistry of Suffolk County is on hand to make your dentistry wishes come true. We provide children with a broad range of dentistry services. It doesn’t matter how young or how nervous your child is. We can present him or her with a dental care setting that’s friendly, warm and encouraging. We work with small children who haven’t even gotten their permanent teeth. We work with teenagers as well. We take great pleasure in giving our young patients access to all sorts of five-star pediatric dentistry treatments. We specialize in standard preventative care that can keep tooth decay, cavities and all kinds of related problems at bay. We have considerable expertise regarding infants and dental health as well. If you’re searching for comprehensive oral care for your baby, we are here for you. We know the ins and outs of teeth fillings, though cleaning sessions and more. If you want to provide your young child with a strong foundation for glowing dental health for life, our pediatric clinic is the place for you. Our team members are pediatric dentistry superstars. 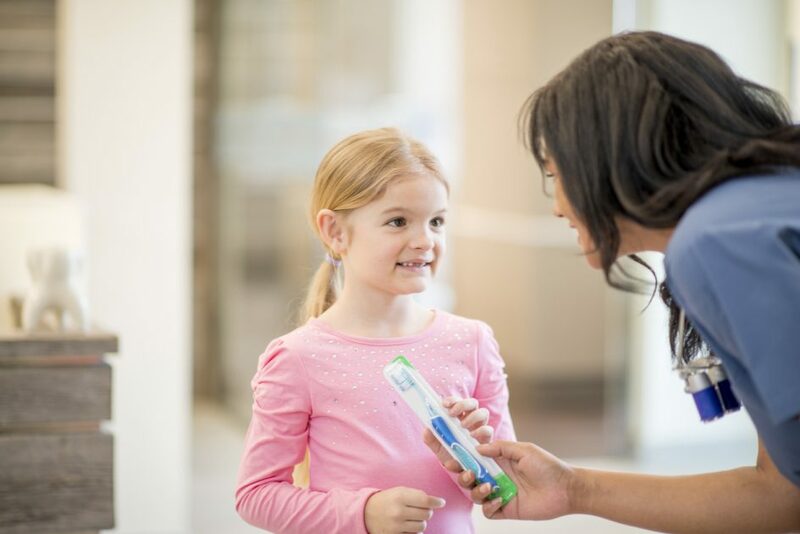 We know how to make children feel 100 percent at ease regarding dental care. They can answer any concerns that pertain to our dentistry techniques, too. Dr. Michael Ioannou heads our office. He’s a graduate of both the School of Dental Medicine at the University of Connecticut and the State University of New York at Stony Brook. Dr. Ioannou is an affable professional who is part of the American Academy of Pediatric Dentistry. Dr. Christos Iannou is another dental powerhouse who represents our clinic. He’s also a Stony Brook graduate. His many pastimes include travel, going fishing, and being around his beloved family members. If you’re waiting for Suffolk County’s greatest pediatric dental care, set up an appointment with us now. Our offices are in Medford and Commack!